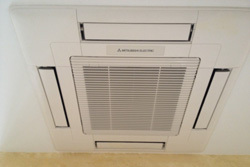 We can evaluate your current HVAC system and provide a comfort solution that works best for you. Mancini has many comprehensive HVAC maintenance and repair plans to get you on the right track. Getting a semi-annual maintenance program for your HVAC units helps you save money and energy, extend the unit's service life, and live comfortably in your home or business. Our specialty is in finding economical and efficient solutions to your heating and cooling issues. Our HVAC technicians are prepared to solve your AC, furnace or refrigeration repair needs in the events of necessary maintenance or a breakdown. For more information, please contact us or call us at 978-436-9944.